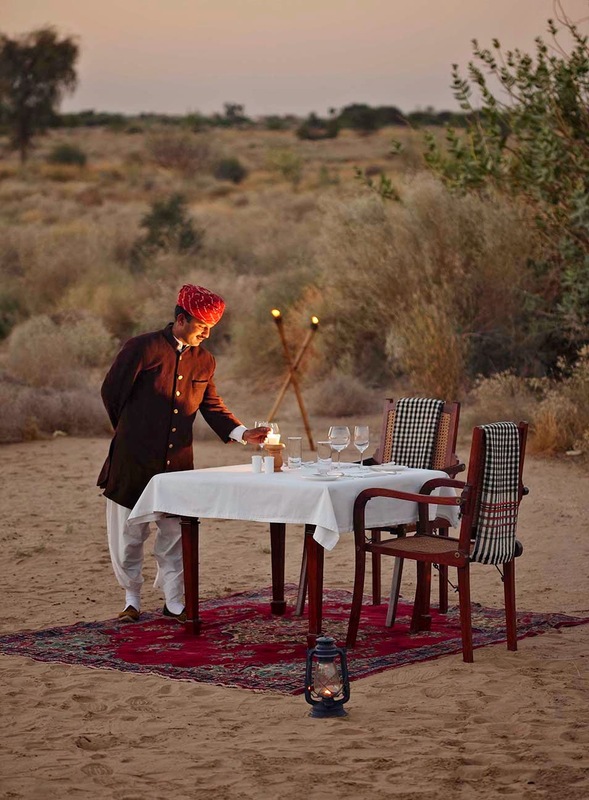 THE SERAI JAISALMER in the Remote Indian Desert. A Beautiful and Magical Discovery. The Perfect Escape. The world is too much with us today. The news is unbearable. The Internet makes our lives magical—and it also makes the world too present. 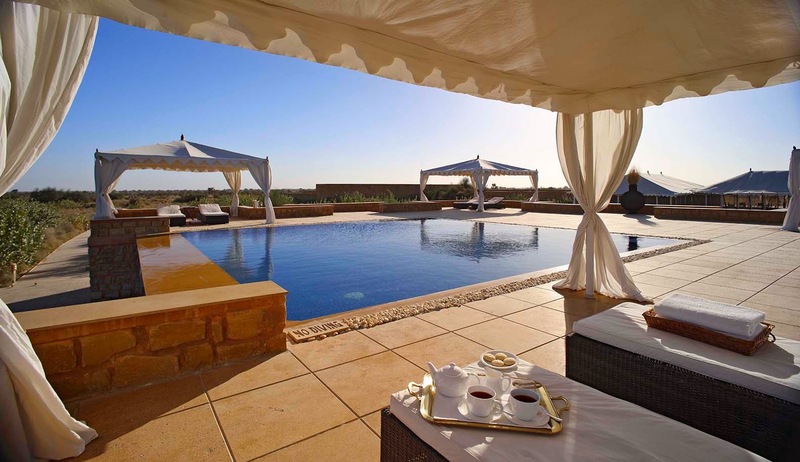 It’s time to take an inspiring break with me today to The Serai Jaisalmer, an ultra-private luxury desert camp near the dusty old fort town of Jaisalmer. I rather chanced upon it—and stayed for a few days of midnight reverie, daydreaming, writing, wandering, bird-watching, slowing down, watching the wind drift across desert grass. It’s a rare retreat—amid a monochromatic landscape that is the opposite of India’s wonderful cavalcade and clamor of noise, color, and the loud symphony of music and excitement. The Serai is silent. Earlier this year, I had the great good fortune to travel to Northern Rajasthan, into the Indian desert. Yes, there is a vast desert way up in the far north of India. It’s a desert of centuries of legends and myths—and a place of mystery and fascination. The unknown. Look on the map…north of Jodhpur, far to the west of Delhi. Come with me to escape to a remote hidden corner of India—into the silence and tranquility and peace of the open desert. The Serai (designed and owned by Sujan, the brilliant private family-owned luxury hotel company) is a place of quiet elegance with just the sound of the wind, birds chirping, palm leaves rustling, or distant muted voices. 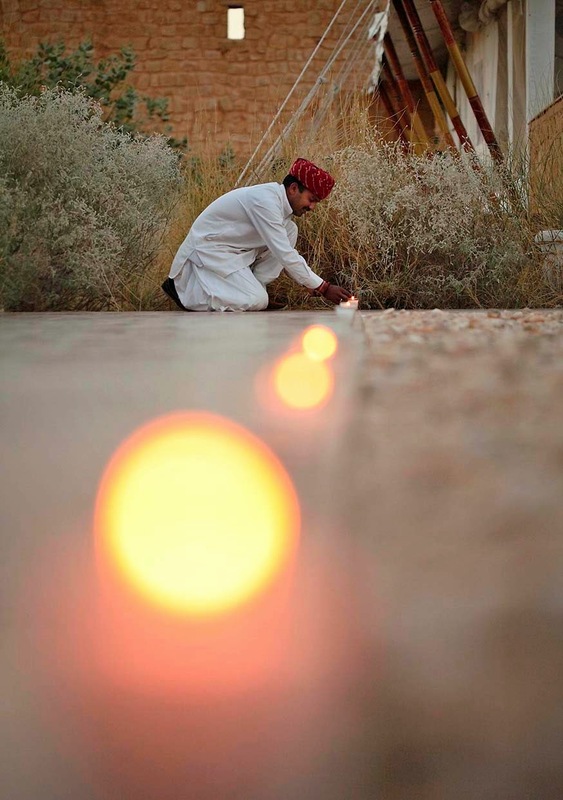 The Serai Jaisalmer is a desert camp where guests sleep in traditional Anglo-Indian luxury tents. 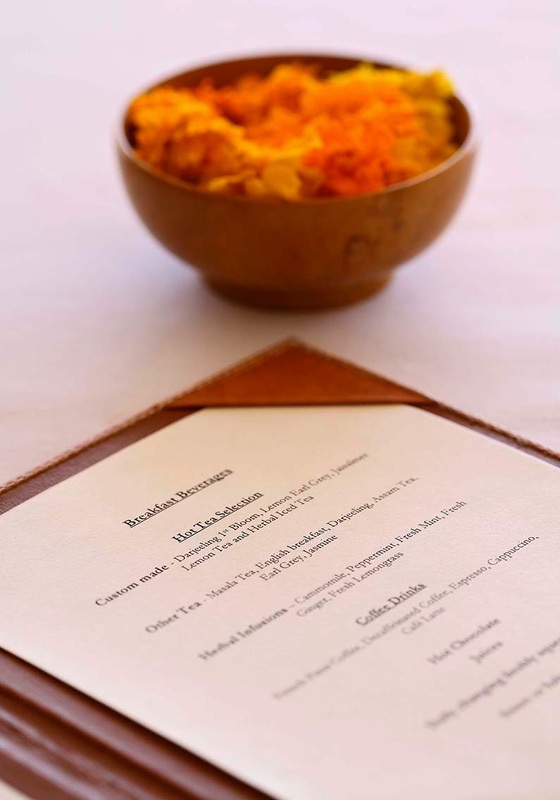 I was enticed by camel safaris, sunbathing around the pool, visits to historic Jaisalmer, a wander in the organic vegetable garden, a Jeep ride to watch the sunset, or reading in the library. Or doing nothing but watch native birds. I even found a bird-watching book in the library--and started making lists of cheerful bulbuls, looming crows, and chatty finches. I tossed (naughty) breadcrumbs so that they would swoop onto my terrace. It's amazing how time flies on golden wings when you are engrossed in birdwatching. Come and visit this dream camp with me. 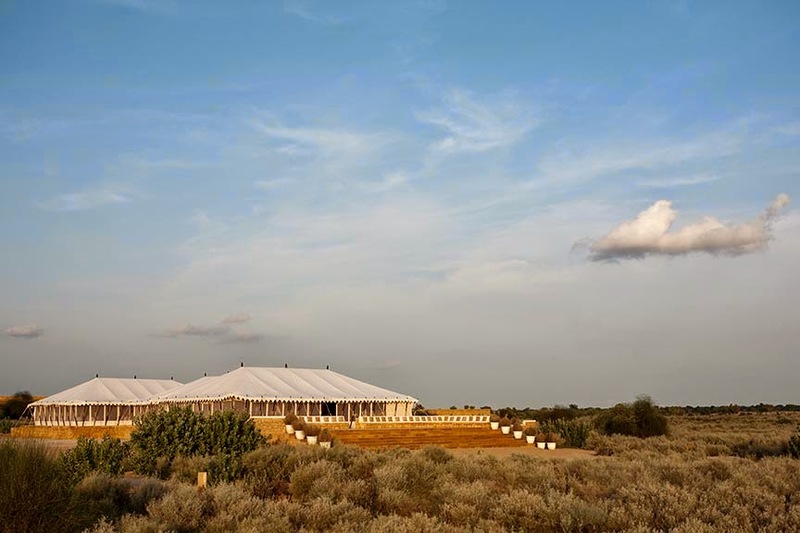 An elegant tented camp in the fabled Thar Desert of Northern India is the newest destination for design-lovers and travel style connoisseurs. 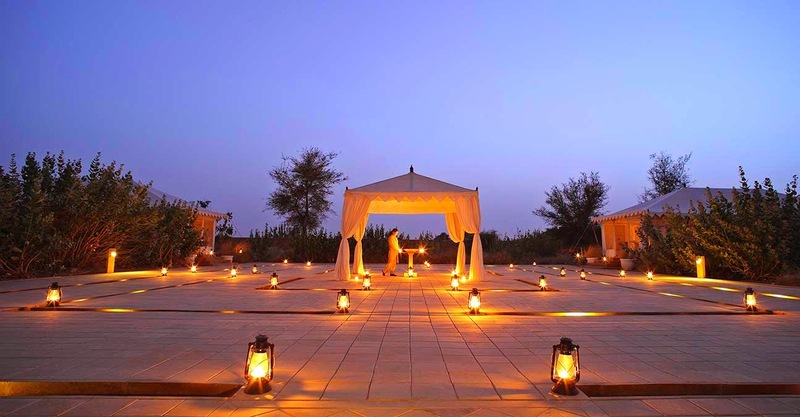 Fiery rays of sunset illuminated The Serai Jaisalmer luxury desert camp in remote northern Rajasthan. One evening I listened spellbound to a group of turbaned manyanigars, traditional nomadic musicians, singing tributes to their centuries-old desert culture. The sounds were intensely emotional. (Look up ASMR...and you will find traditional Rajasthan desert music as a definition. Well, not quite but I can tell you that the voices of the turbaned young men, the thrumming of the tabla, the jangle of percussion, and the soothing harmonic accordion-like instruments had the effect of autonomous sensory meridian response in the cool, clear midnight air and desert stillness. A thrill. 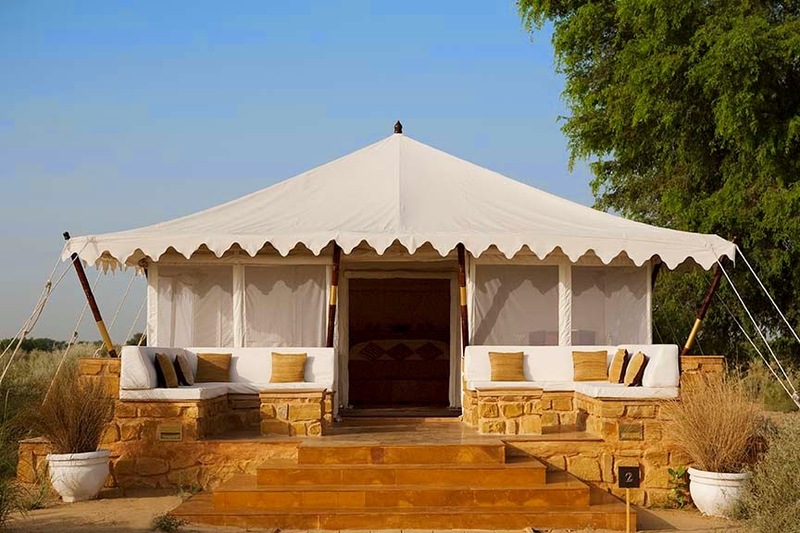 The Serai Jaisalmer, twenty-one elegant tents on a hundred-acre private estate in the regal Rajasthan region, offers the newest way to experience traditional Indian camp style. 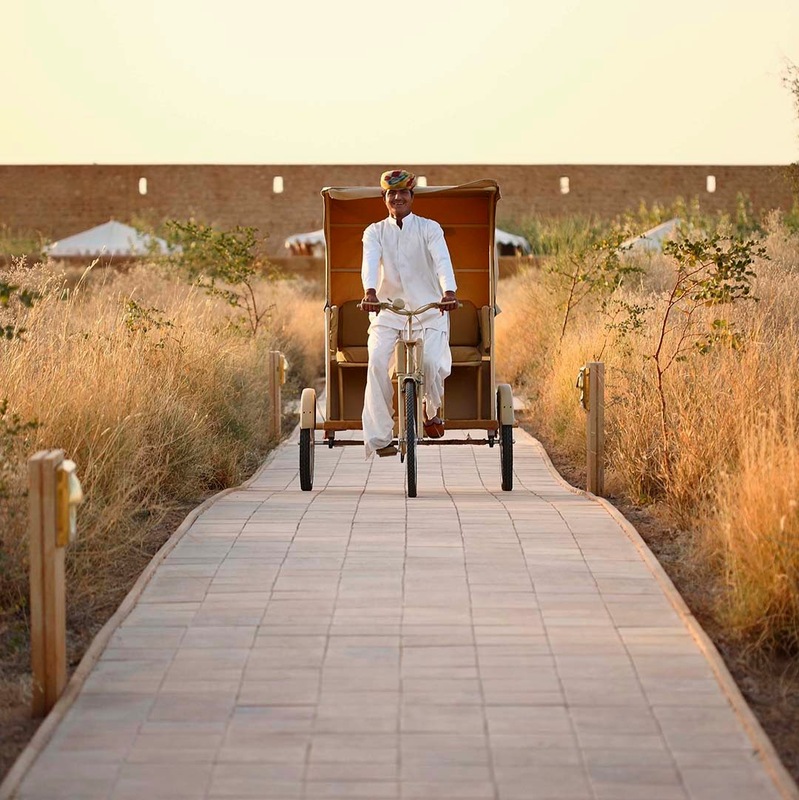 Guests can follow mediaeval royal caravan routes through magical dunes. 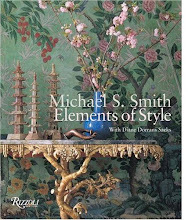 The style: think Hemingway or Anglo-Indian raj camp style, with mahogany furniture, camp seating, canvas walls and seagrass floors. 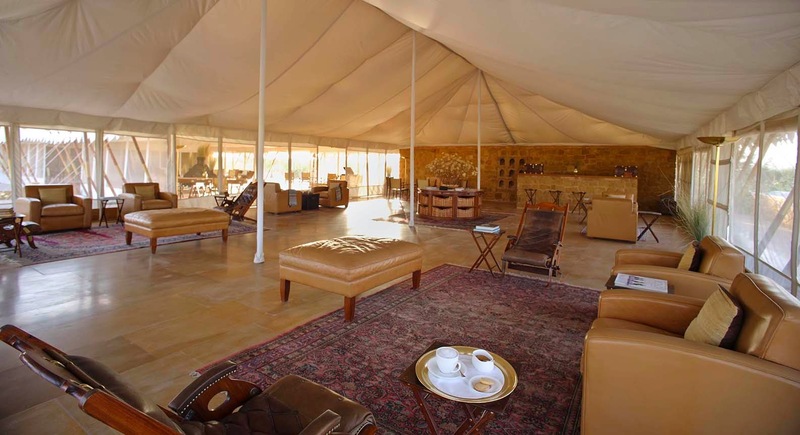 Each tent is on a permanent base, and each tent is outfitted with a terrace, an indoor sitting room, a very large bedroom furnished with grand beds, wardrobes, club chairs and roll-up screened windows (no glass) with views out to the desert. The bathroom is luxurious, with showers and beautiful washbasins. 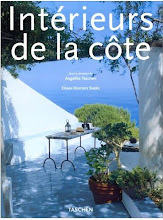 Most tents also have an outdoor plunge pool and terrace, all very private, including the sunbathing terrace. The Serai’s superbly-equipped classic canvas tents are arrayed in an elegant symmetrical formation adjacent to a dramatic swimming pool. From the raised pool terrace, styled like a desert fortress, guests gaze out over miles of pale taupe trees and desert scrub. The monochromatic landscape is breathtakingly beautiful, and the camp blends in. 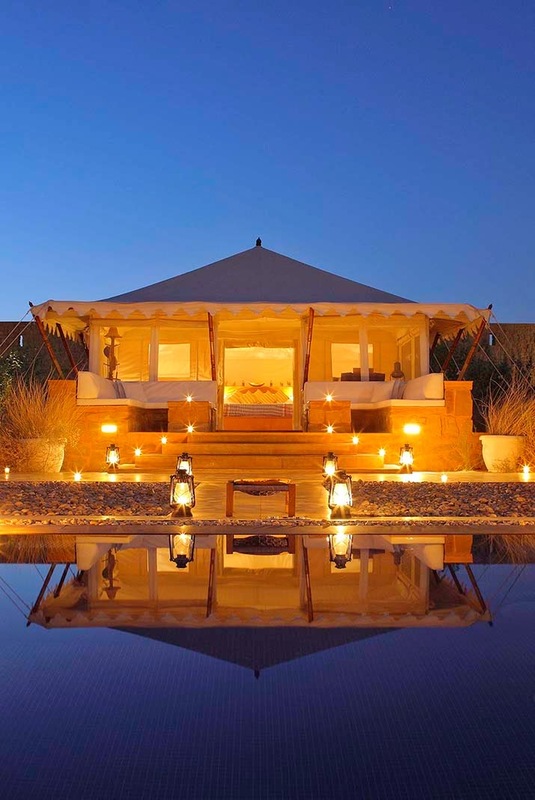 The natural canvas tents, expansive enough to feel like a residence, offer Indian desert life that’s relaxed and tranquil. 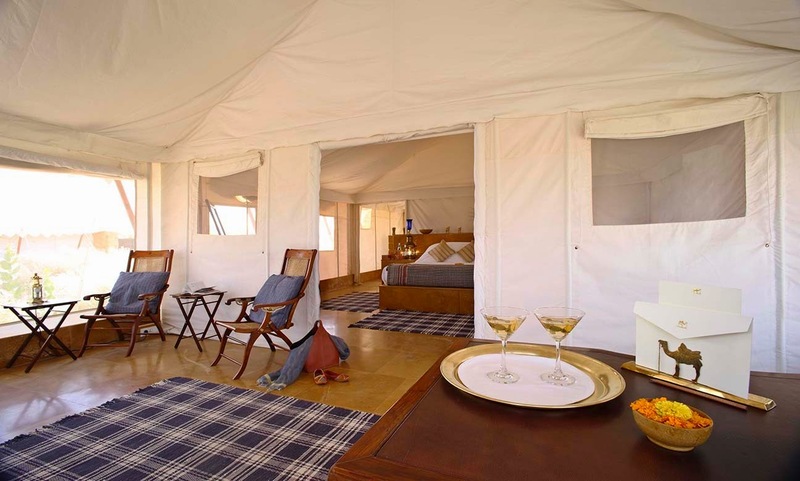 All camp facilities including the tented restaurant, the library (with wi-fi available), the spa and the reception tent are furnished in Anglo-Indian safari camp décor. 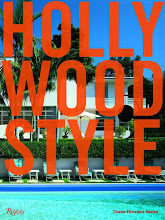 The feeling is Hemingway-esque, authentic, ultra-discreet and low-key, and full of discovery. 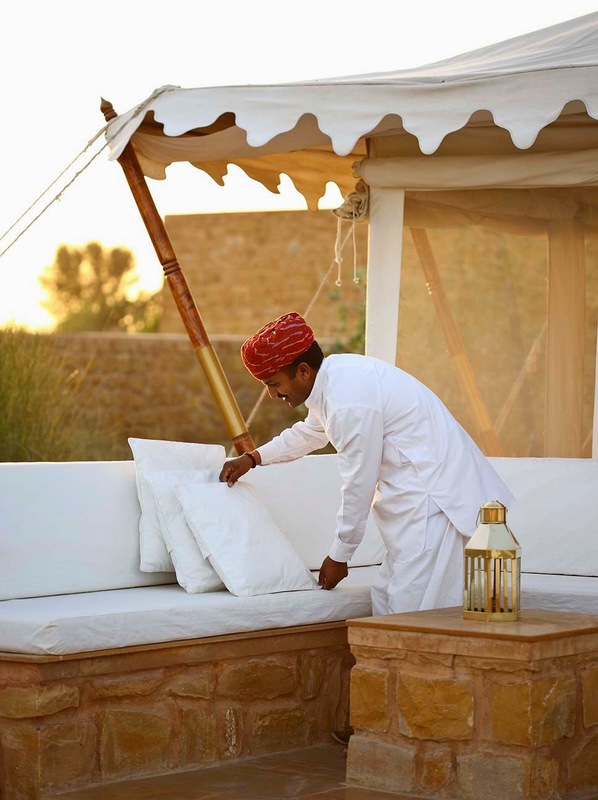 Each of the twenty-one luxury tents has a terrace for enjoying the desert landscape. 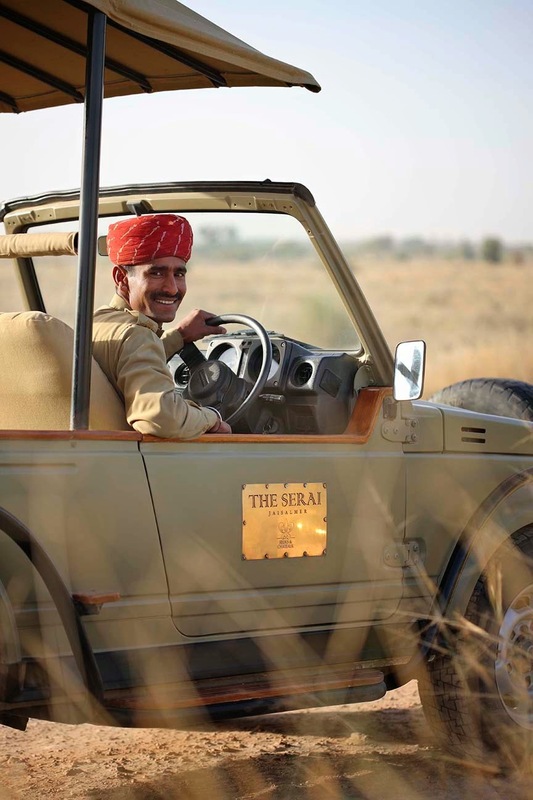 Anjali and Jaisal Singh, the worldly young New Delhi couple who direct The Serai, designed and created the chic camp that has attracted travelers from around the world. Their company, Sujan, focuses on protecting and conserving the wilderness as well as introducing guests to the setting and local cultures. Each tent, with a terrace in front, can accommodate two guests. Tents are crafted of heavyweight natural cotton canvas, an attractive pale ivory color. Windows, with screens, can be adjusted for air circulation, or closed against cool desert air in the evening. 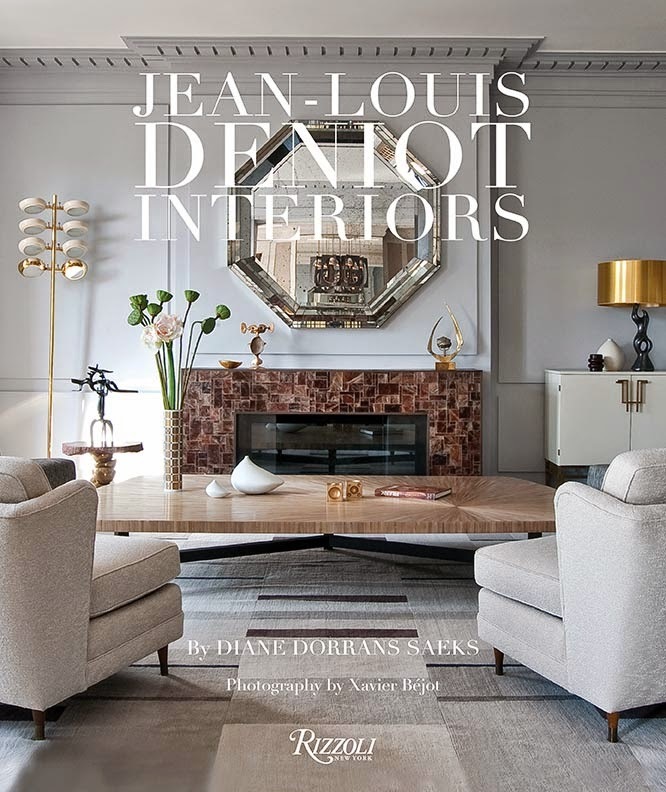 There’s a shaded terrace for evening relaxation, and a sitting room with traditional mahogany campaign-style chaise longues and handwoven plaid wood blankets to ward off evening chill. 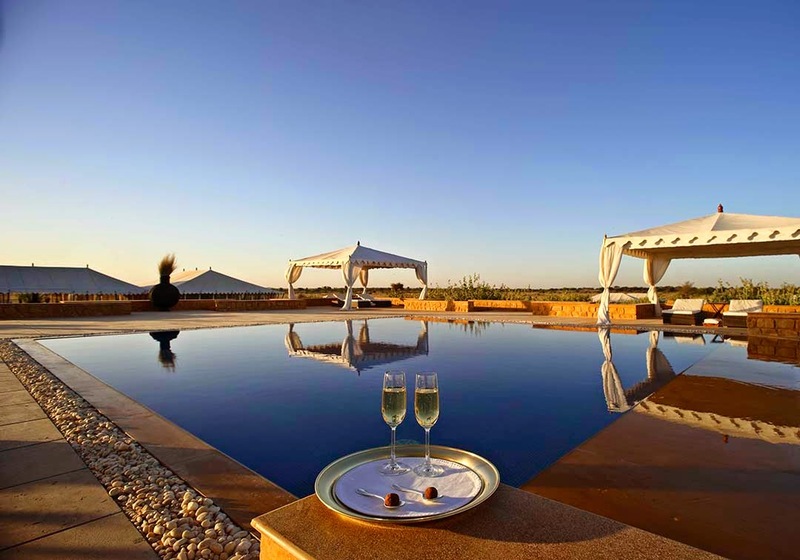 The camp swimming pool is surrounded by a terrace from which guests may view the open desert. 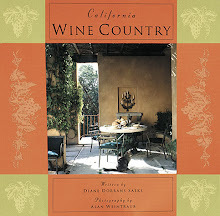 Other facilities include a well-stocked boutique, a spa, and a library with excellent reference books on India. The classical architecture of the tents, which stand on a permanent stone foundation, feels very substantial yet at the same time their simple silhouette and slight movement of the walls gives them a delightful ethereal feeling. It’s like sleeping in a cloud. 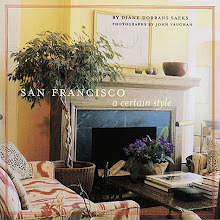 Décor was inspired by traditional Anglo-Indian hunting camps of the Raj. Floors are covered with seagrass carpets, with handsome traditional Indian woven rugs in red and rust added a dash of color in the bedroom. 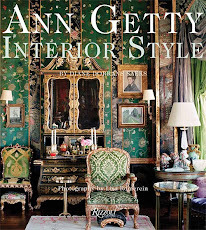 Interiors include antique mahogany wardrobes, stacks of reference books on local birds and plants, and a desk for writing postcards or studying Indian culture. 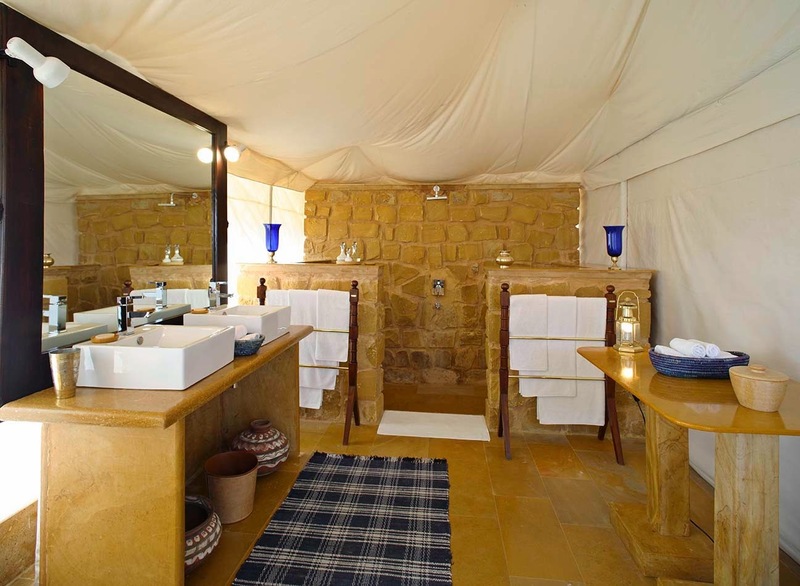 Bathrooms, with showers crafted from indigenous pale ivory sandstone are spacious and well supplied with herbal-infused toiletries. 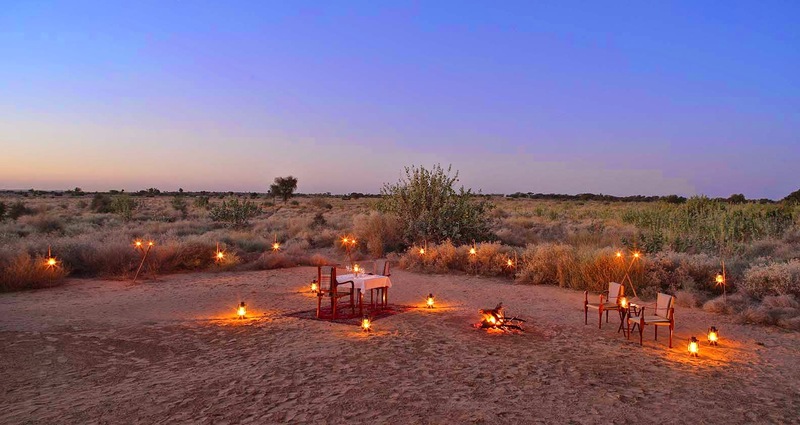 A highlight of the visit is a sunset Jeep safari to the camp’s viewing point on a desert overlook, furnished with a tent, chairs, tables, and drinks. Twilight in this hushed region is dramatic and mysterious. The secluded wilds of The Serai and guests may see migrating cranes taking refuge there before flying to northern climes. Cuisine is taken seriously. 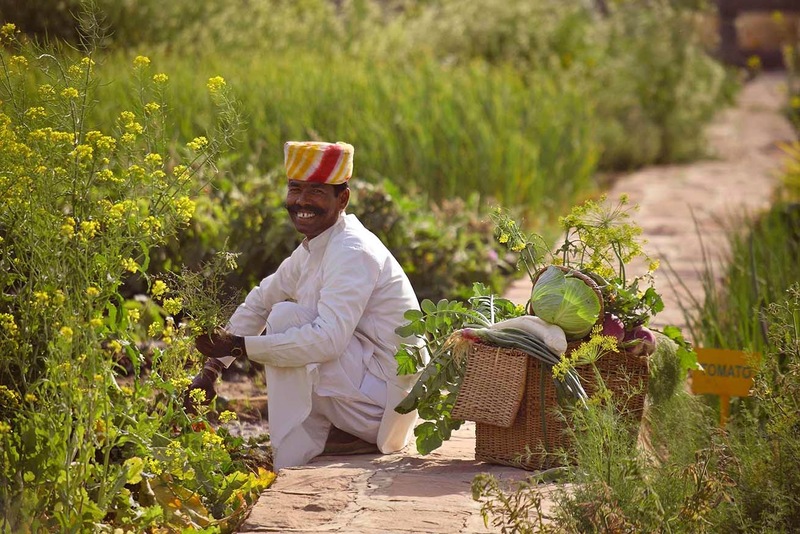 The Serai property includes a flourishing organic garden, where vegetables, fruit, and flowers are grown. Cows offer fresh milk, and chickens supply daily eggs. Chefs and bartenders visit the garden several times a day to pick mint or lemons for cocktails, and to gather baskets full of lettuces, along with delicate flowers to decorate salads and fragrant rice dishes. 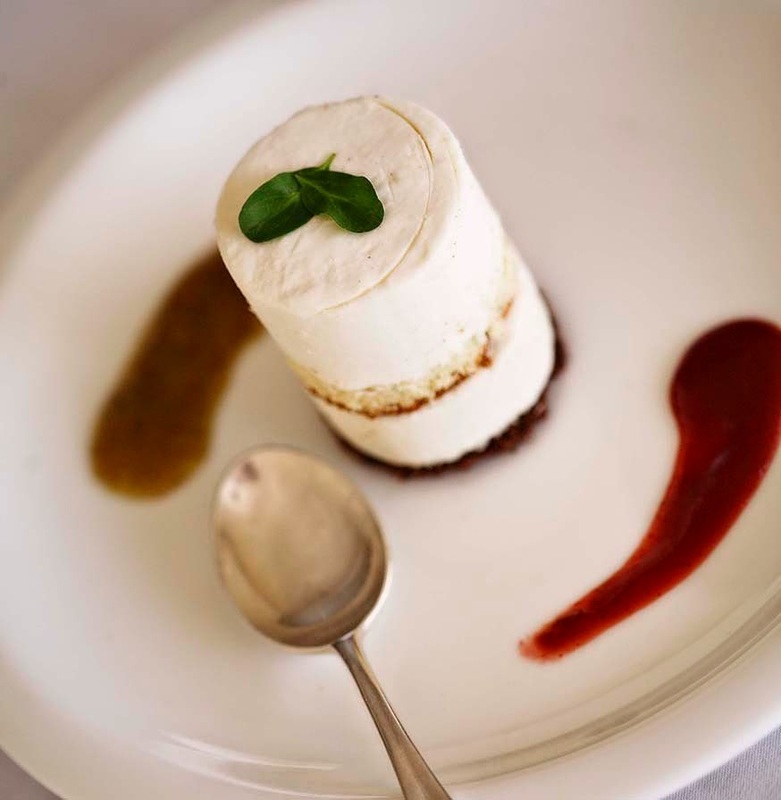 Cosmopolitan daily menus at The Serai may include roasted vegetable bisque, colorful salads, duck leg confit with sautéed potatoes, or a pan-seared pork loin with glazed carrots, with classic French deserts. 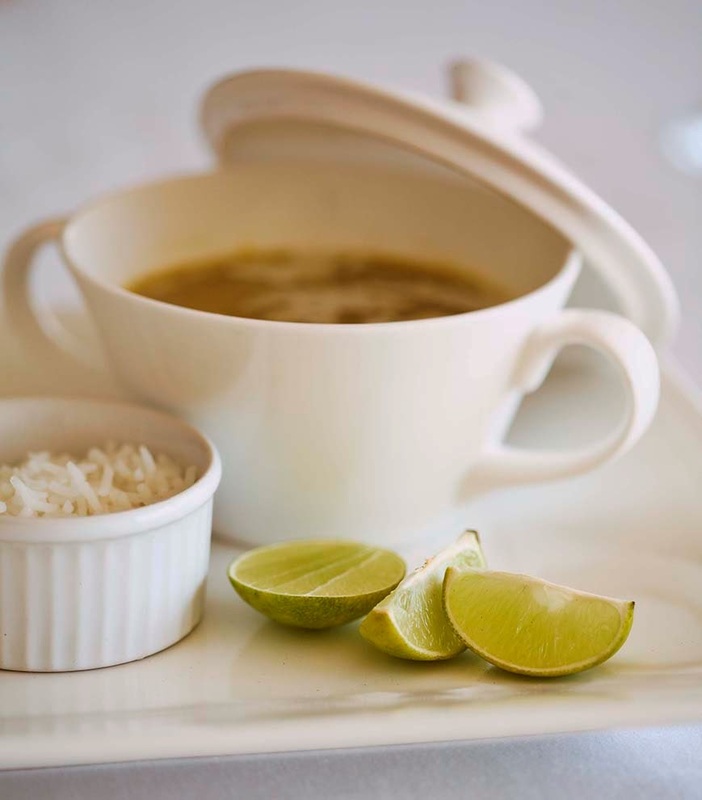 Guests can request any dish and the hotel is very accommodating. Tents are arrayed on the property to create maximum privacy. Camp staff uses special bicycles to deliver breakfast or afternoon tea or fresh towels. 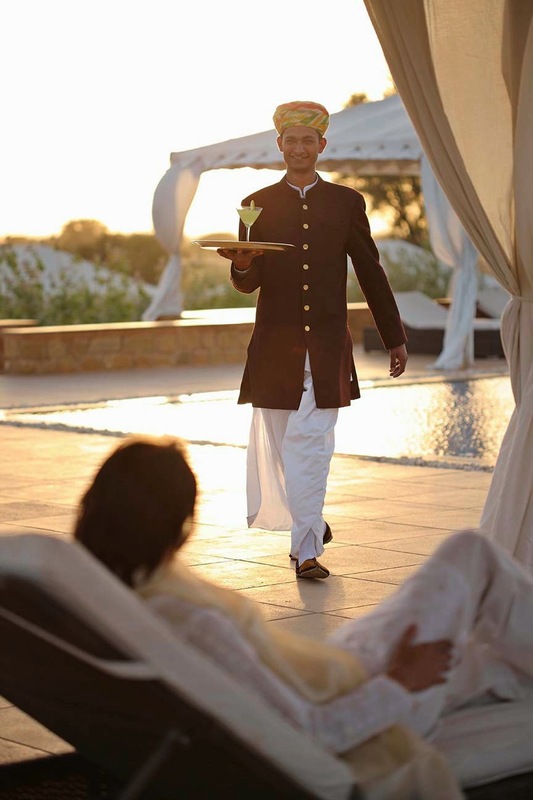 Camp staff wears crisp white linen tunics and trousers, with a signature red turban, all characteristic of Rajasthan. The Serai is open from September 15 through March 31 each year. High season, when days hover around 75 deg F, is from November to February. Jaisalmer, a twelfth-century stone-walled fortress with historic palaces and temples, is a half-hour drive. The fort, a UNESCO World Heritage site, makes a fascinating half-day excursion, but guests are happy to return to the tranquil setting of The Serai. As darkness falls, stars are as bright as Maharajahs’ diamonds. Magical, indeed. 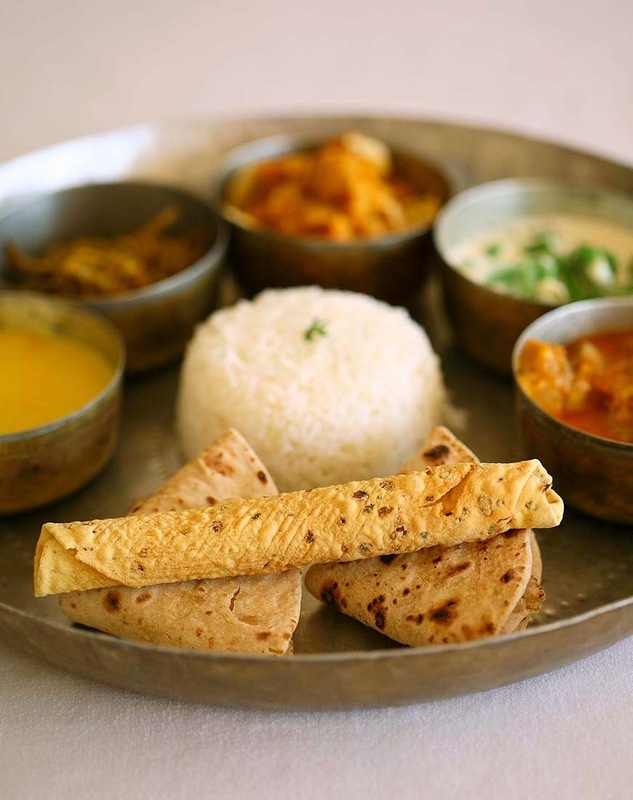 Many guests arrive from the nearest city, Jodhpur, which is 142 miles south from The Serai. 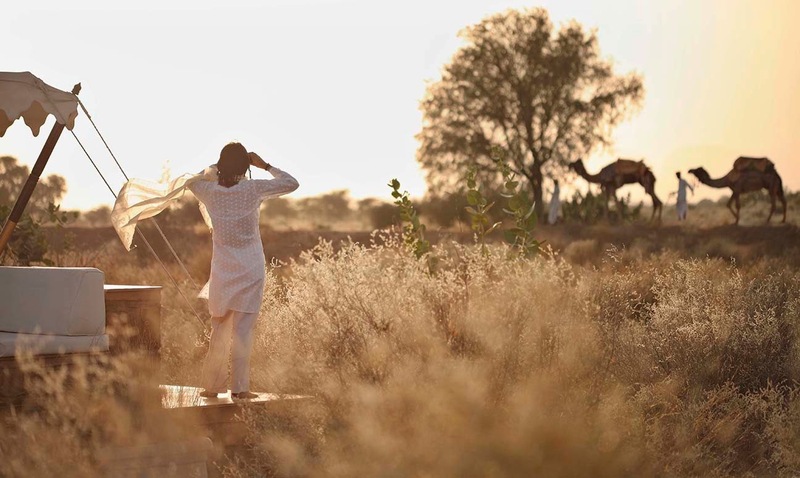 Others make a Rajasthan circuit and visit two other Sujan tented camps, and arrive from either the tiger camp, Sher Bagh, in Ranthambore, or Jawai, a SUJAN camp north of Udaipur in a remote western Rajasthan region noted for leopards. I propose flying to Delhi, spending a few days there (perhaps at The Lodhi hotel, my favorite) and then flying on to Jaipur and heading to Sher Bagh. Then it’s onward to Jodhpur and heading north to The Serai from there. Note that it is not possible to fly from Delhi to Jaisalmer (for security reasons as the fort town is close to the Pakistan border). This trip does involve some driving (it is ideal to have your own driver and car) and it’s a fascinating way of seeing India up-close. Roads in Rajasthan circle past old villages and the trip explores the countryside of India. 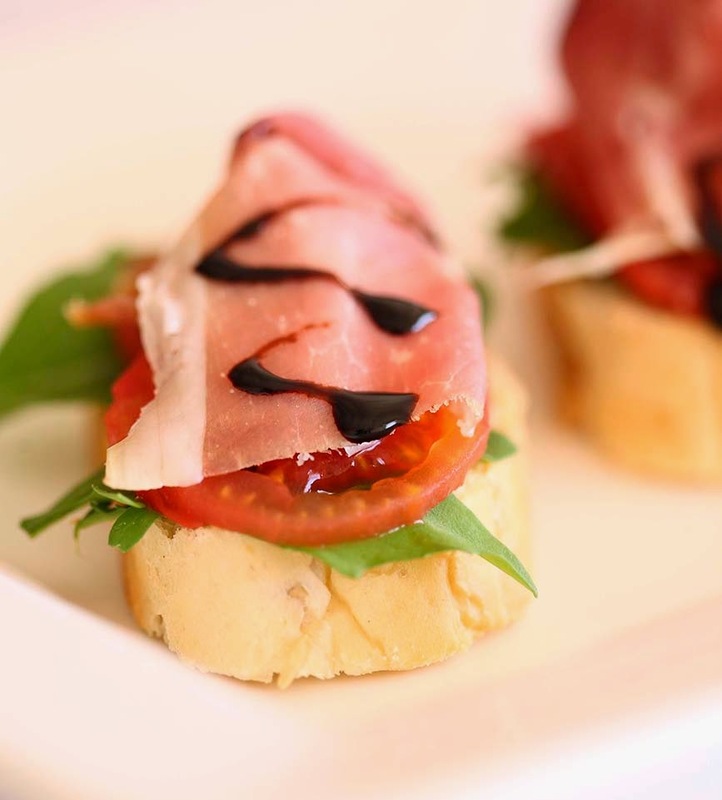 The Serai is a Relais & Chateaux property, and the standards of comfort are ultra-high and guests are very beautifully pampered. 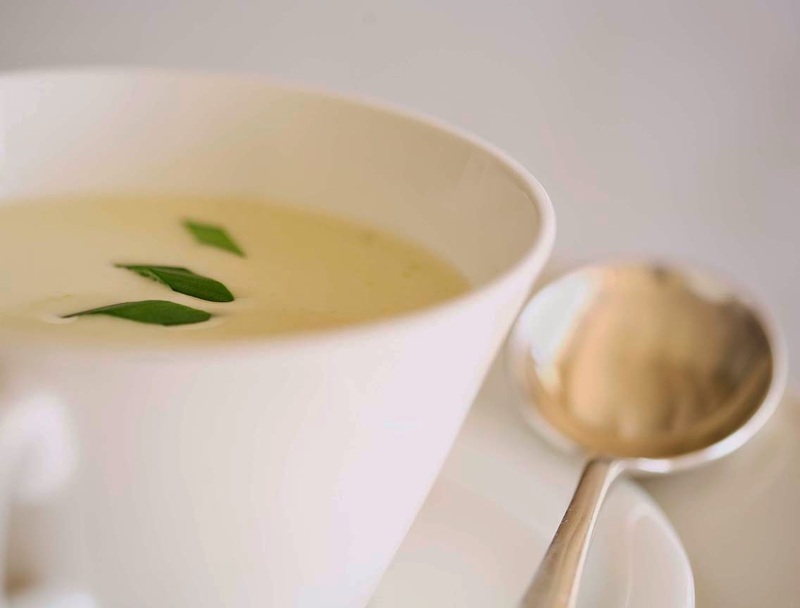 Menus have modern Indian and continental offerings, chic cocktails, and fresh vegetables and herbs from the garden. 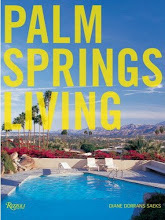 The pool is enticing and there is an excellent boutique with lovely block-print kaftans, jewelry, décor, and gifts for family and friends. The luxury here is in the privacy, the tranquility. It’s so quiet, so calm and silent, I am certain you will not want to depart. Let me know. Note that The Serai is open from September 15-March 31 each year. 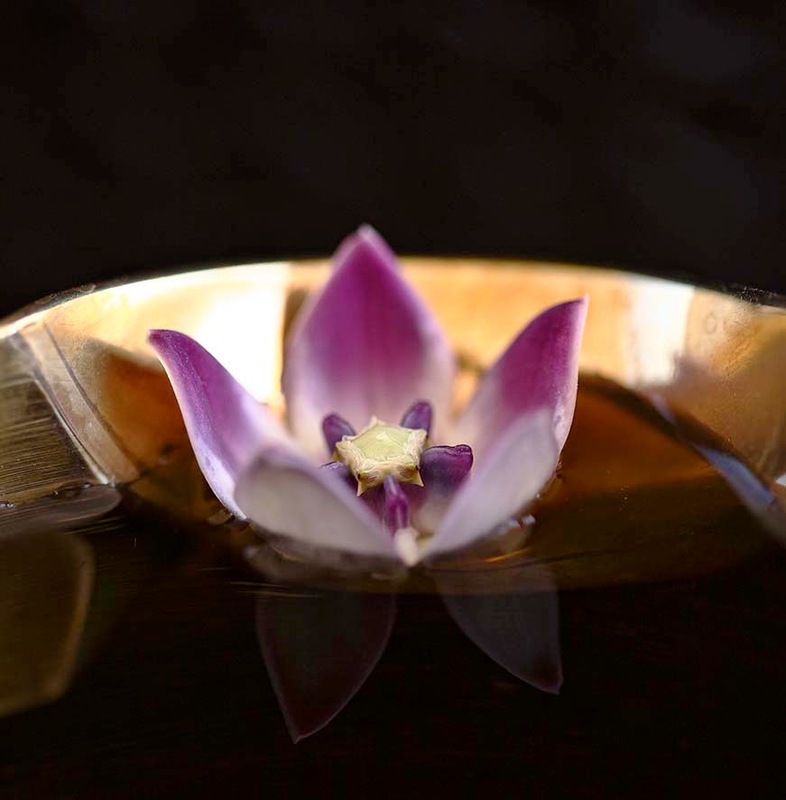 All photography here by Anjali and Jaisal Singh, Sujan. Used here with express permission. Not part of the Maharana's palaces? Looks utterly divine. It's looks as a miracle to have so much water in the desert, where does it come from ? Where goes the used water ? 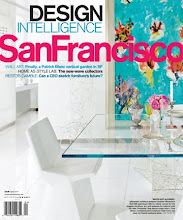 The place is very attractive if you have the good answers of that environment mater. Surely this must be a mirage in the desert! It is simply much to beautiful and magical to be real?? I will defintely be adding this to my list of places that I must see and experience! Thank you for sharing. This India post has quickly had lots of comments--including from my designer friends, from my Indian friends, and from my travel fanatic friends. I loved you post on books!! Dreamy. 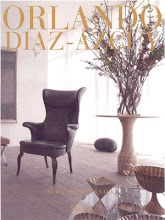 Diane--You just made my Monday morning! 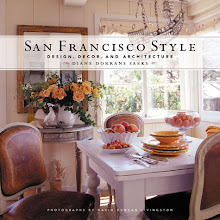 Just returned from San Fransisco after attending Pat Montandon's book launch. Donna introduced me your blog.The place is simply beautiful and utterly private.Besides this Jaisalmer is much beautiful and explorable.Thanks for posting fantastic pictures. 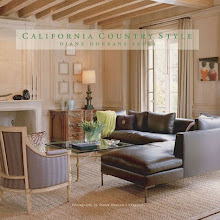 Dear Diane, your magical, incredible travels never cease to amaze me. Thank you so much for sharing your journey with us. I had a note from 'Anonymous'…I would have liked to know who sent this enquiry--who asked about the water in the pool at THE SERAI. He or she wondered about the eco effect. Was it recycled? Yes, it is filtered and purified. It's well water…deep wells. I can assure you that everything--everything--at The Serai is very eco-aware. Sujan, the owner of the resort, are extremely responsible on every level. 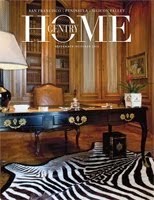 Staff, hand-picked, are superbly headquartered on the property. 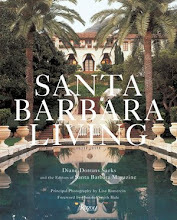 Such a beautiful place and post--thank you for sharing! Questa struttura ricettiva è la migliore soluzione per coloro che hanno un budget contenuto per il Tour del Rajasthan. Gestita e curata con professionalità da due fratelli, questa struttura è la migliore opzione in fascia media.